Following John Krasinski’s wildly successful apocalyptic thriller A Quiet Place, Netflix locks in its adaptation of Tim Lebbon’s post-apocalyptic horror The Silence, which features predatory creatures that hunt exclusively by sound. The trailer for the forthcoming movie, helmed by Annabelle director John R. Leonetti, has dropped yesterday, along with the deluge of comparisons with the 2017 cult hit. Though the trailer surfaces plenty of similarities, the plot separates itself neatly from Travinsky’s nihilistic take on the apocalypse by setting the story right before the sonically adept predators invade the cities. If anything, the vibe feels more attached to Alfred Hitchcock’s 1963 classic, The Birds. The Silence follows a family struggling to survive in a world terrorized by a deadly, primeval species who have bred for decades in the pitch darkness of a vast underground cave system, hunting only with their acute hearing. 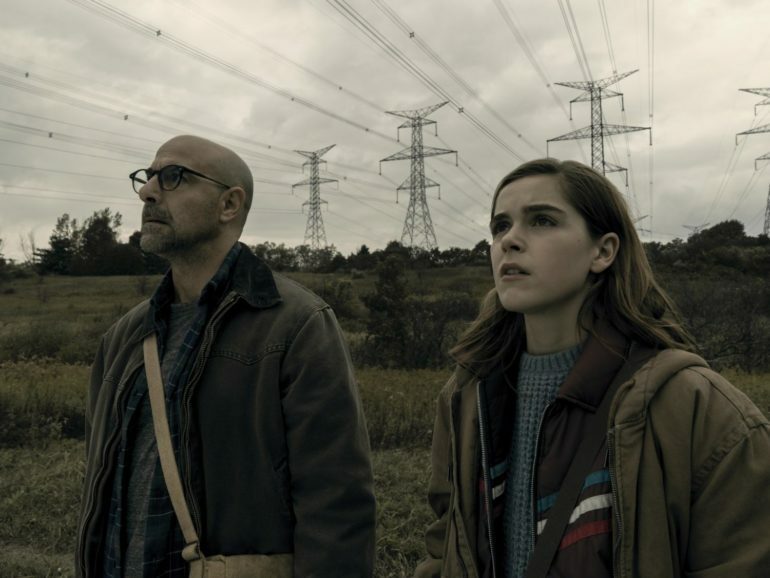 That family is comprised of a stellar cast, including Stanley Tucci, Kiernan Shipka, Miranda Otto, and more. Written by Shane and Carey van Dyke, The Silence will drop on Netflix on April 12, 2019.